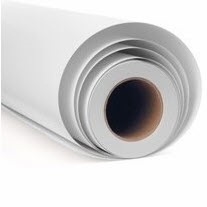 Canon Satin Photographic Paper is a high quality, economical resin coated photographic and proofing paper with low-glare satin surface finish making it ideal for desktop publishing and POS signage. Ideal for indoor posters, graphic art, proofing and photography. It has instant drying characteristics that allows immediate use without smearing or smudging. Canon Satin Photographic paper has a bright white tint, perfect for accurate proofing applications.